You can add search commands and chalets to your favourites by clicking on the hartje ..
Log-in to save your favourites in your own My ChaletsPlus account.! You can add search commands and chalets to your favourites by clicking on the hartje . Log-in to save your favourites in your own My ChaletsPlus account. In Königsleiten you’re right in the middle of the action: During the day, sunny, snow-sure ski areas begin right on your doorstep. From late afternoon onwards, you’ve plenty to keep you occupied and entertained in the vicinity. On the slopes and in the village, a hearty après-ski begins early, with no excuses for not joining in with the party atmosphere. At an altitude of 1600 metres, the village is even higher than the Gerlos Pass! Ideal for slope fanatics and lovers of romantic mountain panoramas. 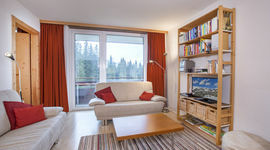 With around 60 holiday apartments, we have an impressive selection of cosy and pleasant chalets to offer in Königsleiten. Königsleiten is located on the border between Salzburg and Tyrol in the Zillertal Alps, near the high alpine ski resorts of Gerlos, Krimml and Hochkrimml. Far above Wald im Pinzgau, in whose municipal area the holiday village lies within, nothing distracts from the majesty of the mountain. Even in the middle of the village, at 1470 to 1600 metres above sea level, you’ll feel on top of the world as you take to the slopes. However, it goes much further up: the highest lift arrival is at 2302 metres above sea level. 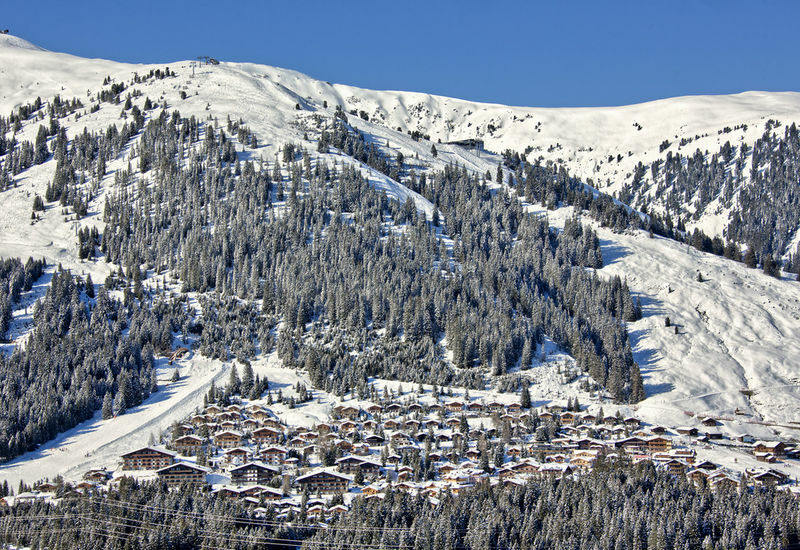 The snow guarantee and the varied slopes make the area attractive for real winter fanatics. Königsleiten is the highlight of the Zillertal Arena. Thanks to its southern exposure directly on the Gerlos Pass, you can enjoy wonderful hours of sunshine during the day. In the different "Schirmbars" and ski huts, you can end an active ski day sociably. Come the evening hours, you’ll discover plenty of options when it comes to dining out, with all manner of appetites catered for. For more everyday errands, there’s a supermarket in the heart of town. Because Königsleiten has been laid out on quite a steep terrain, there is a special service for winter guests. 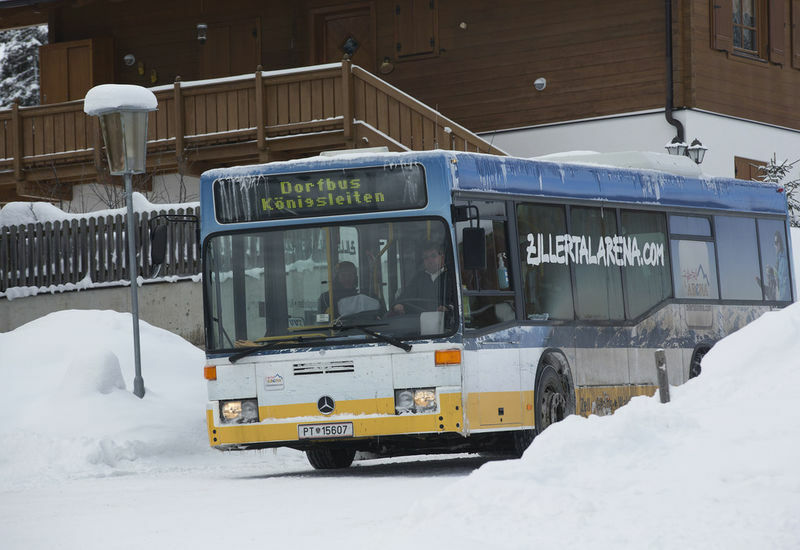 During the winter months, you can use the bus with a valid ski pass. This bus usually runs between 8:30 and 17:30 every quarter of an hour between the higher and lower sections. Königsleiten offers even more than winter sports. On clear days the highest observatory in Europe is waiting for you to pay it a visit. During the various performances in the planetarium, you will learn everything about the stars, which you can then gaze upon with a fantastic new vantage point! And if you ever feel like moving without skis on your feet, you can explore the Planet Nature Trail around the village. The swimming bath in Wald im Pinzgau is ideal for relaxing and rejuvenating. Here, you’ll find a covered slide and a well-equipped sauna and wellness area that leave nothing to be desired. In the centre of the village Königsleiten, there are two practice meadows where beginners can learn to ski or snowboard. The excellent ski and snowboard instructors of the two local ski schools will teach you the latest techniques and styles. Group lessons or private lessons, ski tours and ski safaris at all levels. Simply ask the ski schools for more information. 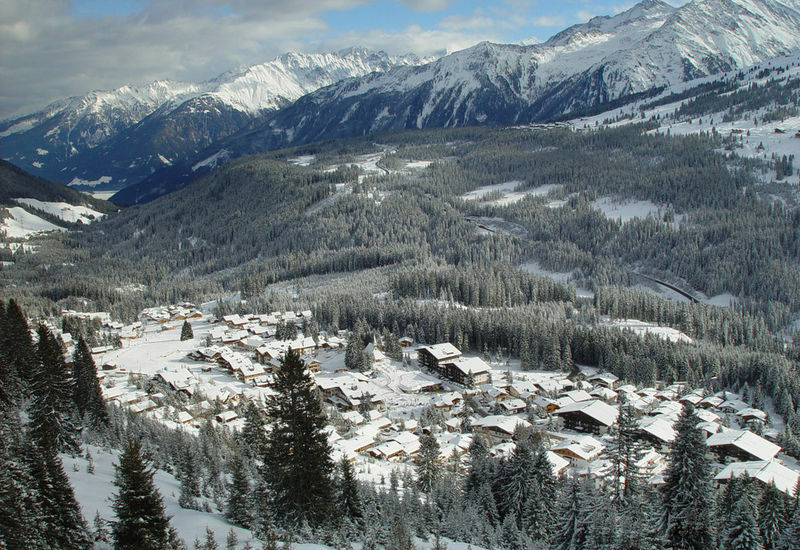 Königsleiten is centrally located in the ski area of the Zillertal Arena. 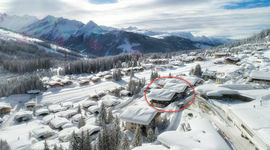 The slopes are within walking distance of the chalets and apartments. Skiing there is usually also possible! The ski area of the Zillertal Arena has 143km of slopes, 8% black, 62% red and 30% blue. 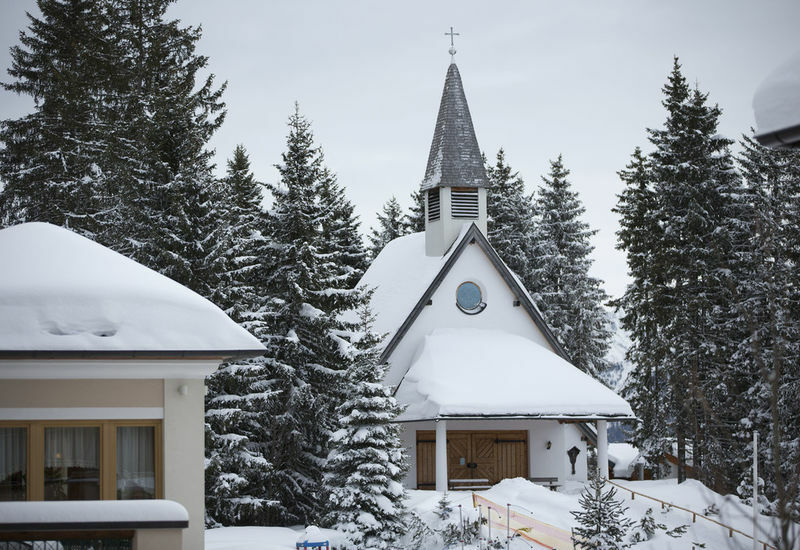 320 hectares of snow-covered slopes guarantee snow throughout the season. Königsleiten is the gateway to the Zillertal Arena. The Zillertal Arena ski pass is valid for the entire ski area of the Zillertal Arena and the Wildkogel Arena. 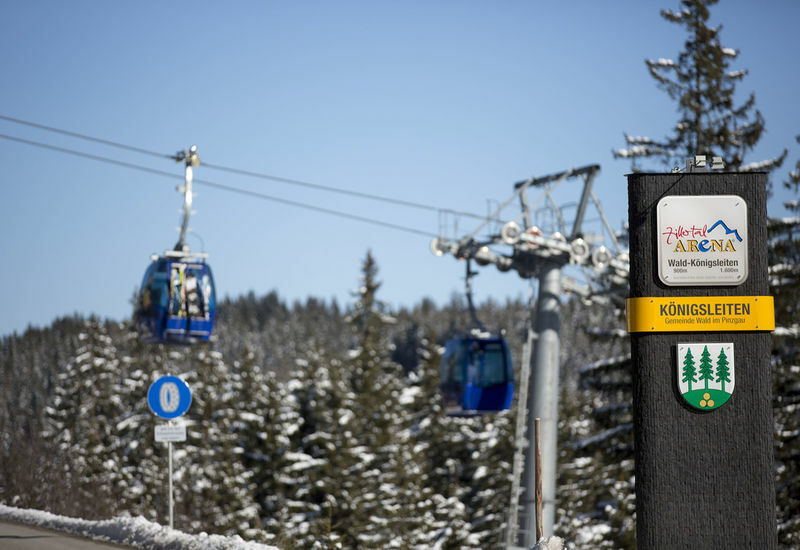 With a valid ski pass, you can also use the ski bus free of charge between Neukirchen, Wald, Krimml and Königsleiten. In addition, with the ski pass, you can drive your own car over the Gerlos Pass free of charge. Make it even easier for yourself and order the ski passes for the Zillertal Arena directly when you book. ChaletsPlus cooperates with Sport 2000 Hölzl for the online booking of your ski equipment. Thus unnecessary waiting times in your vacation are avoided and you profit from an attractive discount! How does it work? 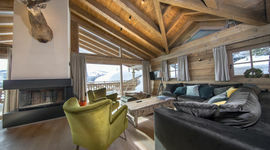 Call up the chalet or apartment of your choice and select Ski/Snowboard rental Sport 2000 Hölzl from the extras available for booking! Königsleiten has a high-altitude cross-country ski run with snow guaranteed, which can be reached via the village railway. This begins directly next to the mountain station. You will find even more possibilities in the nearby forest in Pinzgau. The cross-country trails of Wald are connected to the 200km long Pinzgau cross-country trail. 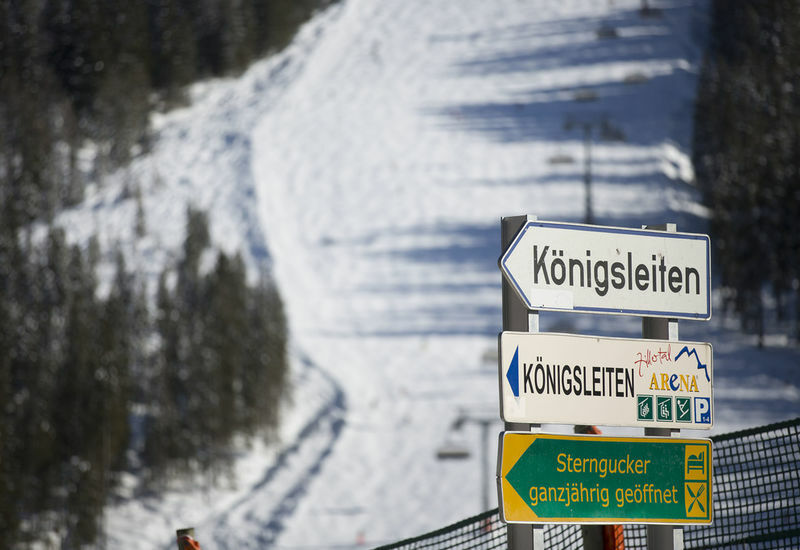 The approximately one-kilometre-long toboggan run in Königsleiten starts behind Hotel Ursprung and ends on the old Gerlosstraße. The 500-metre long toboggan run at the Finkenhof in Wald is partly illuminated in the evening and very child-friendly. Every Wednesday the moonlight tobogganing takes place and serves as a welcome occasion for fun, mulled wine and mingling with other visitors. In the Zillertal Arena there are more than enough possibilities for freestylers. The "Hot-Zone Snowpark" in Gerlos is situated at an altitude of 2,020 metres and covers an area of 30,000m². Beginners, as well as advanced skiers, can enjoy themselves here. For families, there is the Special Kids Line and those who want to relax after a long day go to the Chill Area. For those who want even more fun, there are the snowparks of Zell am Ziller and Hochkrimml. Our range of cosy chalets and holiday apartments reflects our focus on families. Many of our apartments are suitable for eight or more people. Ideal for planning a week in the snow with friends or getting away from it all with the brood, with the kids and grandparents included. The distance between Munich and Königsleiten is about 200km. You can reach the town not only in your own car, but also by train or plane in combination with a rental car. Would you like to mix it up with a new point of view? Many interesting places are nearby. If you want to get a taste of the city air, Zell am See is an hour's drive away and Innsbruck just a little further. The webcams are being loaded... please wait a moment. Secure & Trusted booking with SGR Guaranty! You will be the first to know about special offers, great tips and other news! An error occurred while signing up. The address you entered is not correct or already appears in our mail file. We have more than 8000 Facebook Fans! Looking for inspiration? See our Blog! Are you looking for inspiration? See our Facebook page or have a look at our Blog!